Make Duerr Packaging your choice for Cannabis Edible Packaging. 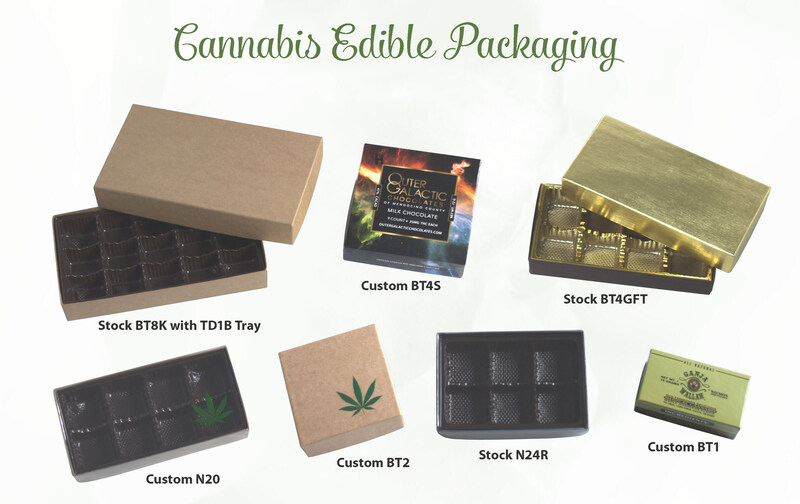 Our Rigid Box, Thermoforming and Transparent Lid manufacturing along with in-house Graphics capabilities make us the one source for quality, competitively priced Cannabis Edible Packaging. If you are interested in developing a new package, depend on over 65 years of experience in manufacturing packaging to inform and assist you through concept, design and prototype. Should you like a new source for an existing package, our competitive manufacturing abilities and reasonable lead times may convince you to switch to Duerr Packaging. Whenever you consider Cannabis Edible Packaging, we ask that you contact us.